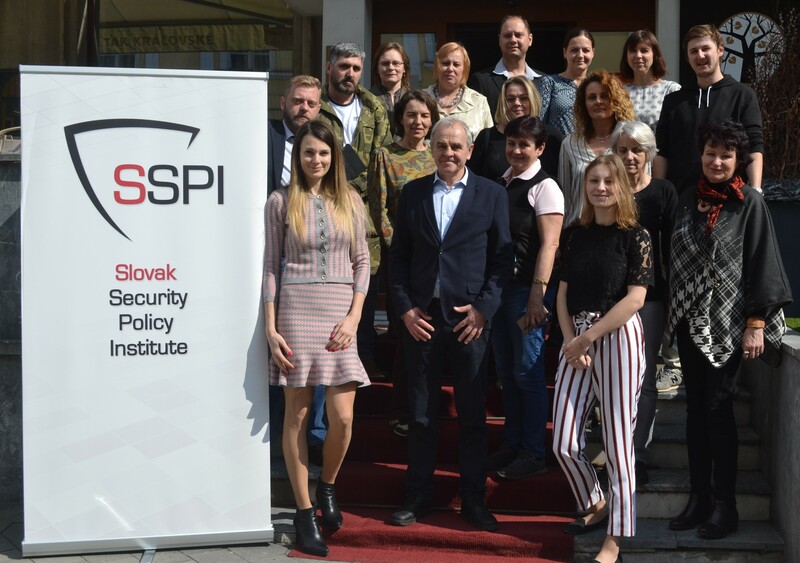 Slovak Security Policy Institute in cooperation with the British Embassy in Bratislava organised an education training for teachers on 22nd-24th March 2019 in Banská Bystrica. 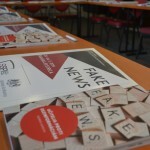 The project Winter School: Teachers against Disinformation is a follow-up to Autumn School: Teachers against Disinformation. 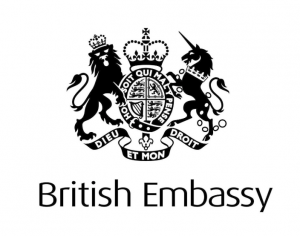 The main aim of the project is the development of teachers’ capabilities and skills. The acquired knowledge will help them guide their students and prevent radicalization and spread of disinformation. 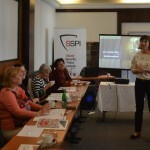 “Opninion polls show that up to 40% of Slovaks use social networks as the main source of daily news. 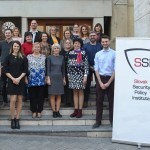 One third also regularly reads dubious conspiracy sites.” Monika Masariková, director of Slovak Security Policy Institute, stressed out at the opening ceremony. 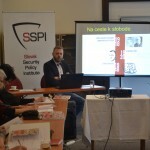 Juraj Smatana, teacher and citizen activist, Ondrej Gažovič, lecturer of critical thinking, Dušan Ondrušek, trainer and consultant at PDCS, Irena Biháriová, lawyer and expert on extremism, Juraj Krúpa, Security and Defence Programme Director at SSPI accepted our invitation to train high-school teachers. The first lecture „Then and now: Disinformation, Hoaxes and Propaganda “ by Juraj Smatana started after the opening ceremony. 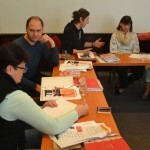 The students were shown examples of disinformation and propaganda in the past and in the present. 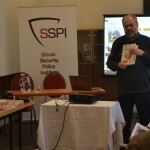 The programme on Saturday was started off by Dušan Ondrušek´s “Radicalisation: how to prevent it effectively?”. 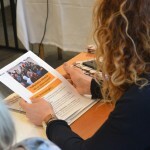 His training was followed by Irena Bihári´s lecture “Communication advice to teachers – how to handle a discussion about extremism with pupils?” at which the teachers were given advice on how to discuss extremism with their students. 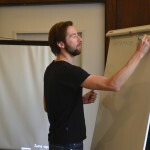 The teachers were shown practical techniques and methods which can be used on their lessons at Ondrej Gažovič´s lecture “Teaching critical thinking skills at high schools”, which ended the Saturday programme. 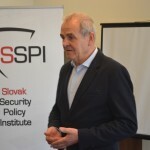 The last lecture “Myths about the Euopean Union and NATO” was presented by Juraj Krúpa on Sunday. 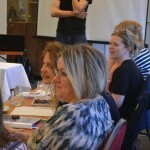 He discussed the most widespread myths about the EU and NATO with teachers. The teachers were awarded with certificates by the President of the Banská Bystrica Self-governing Region, Ján Lunter, at the closing ceremony on Sunday. He expressed his support and gratitude to teachers for the development of their skills in such important topics at the expense of their free time. Teachers are the key to raising future generations, Lunter said. “It is necessary to seek mutual understanding, respect and to motivate young people to talk about problems that our society is facing, of course, not in an agressive way.” Lunter stated in the beginning. “Knowing how to sort and verify the information is essential as there is a lot of information and no one guarantees their truth. To be able to verify the information and make your opinions based on facts, not on impressions, is how we can critically look at our own opinions, politely and openly discuss about matters we disagree with. Everyone has the right to have his own opinion, but not his own facts.” Ján Lunter said.